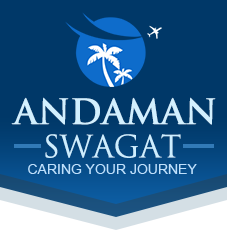 Andaman Swagat is one of the reputed Tour Operators in Port Blair (Andaman & Nicobar Islands, India). We specialize in organizing customized Domestic Tours for eager travelers who love to discover new locations. For them we offer impeccable travel related services such as Airline Ticketing Services, Rail Ticketing Services, Cruise Booking Services, Hotel Booking Services and Car & Coach Rental Services to make their travelling more comfortable. We offer our services in the most transparent manner. We ensure that clientâ��s traveling experience with us is momentous.